The Wireless Home Phone Base does not support rotary or pulse-dialing, home security systems, fax machines, dial-up or DSL internet service, DVR services, media alert services, credit card machines or data services (e.g., texting, multimedia message services (MMS), and data tethering). 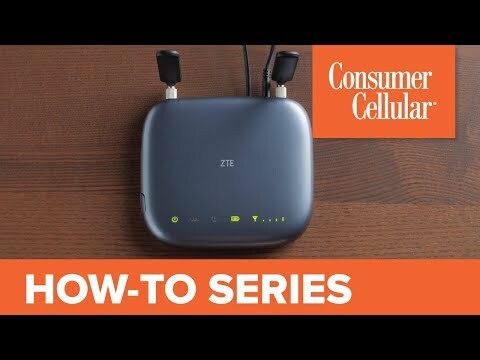 The ZTE Wireless Home Phone Base lets you turn your landline into a new line on your cellphone plan. It’s simple, fast and portable and can be used wherever there’s a strong cellular signal and electrical outlet, at home or anywhere you travel. It’s just like adding another cellphone line to your Consumer Cellular account (just $15 more per month for service). Plus, if you wish, you can keep your current home telephone and even use your existing number telephone—simply plug it into the wireless home phone base, and you’ve got home phone service anywhere you go! WIRELESS SERVICE: No broadband or dial-up connection is required. 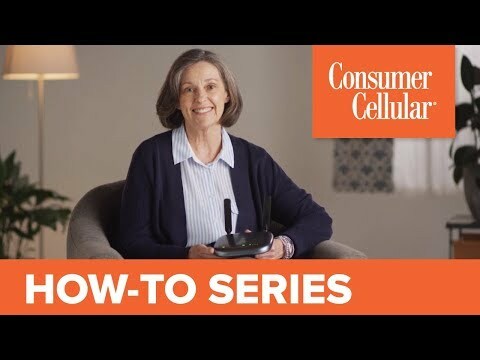 You'll be using the same national wireless network you've relied on for your cellphone service through Consumer Cellular. TRULY MOBILE: Set up your Home Wireless Device anywhere you have a strong cellular signal and electrical outlet. You can even take it with you on vacation. BACKUP BATTERY: Stay in touch, even if you lose power. W: 6.30" H: 5.52" D: 1.10"
Prices are applied at time of purchase, and include FREE activation. Devices are limited to stock on hand. There are no customer reviews for ZTE Wireless Home Phone Base. Be the first!